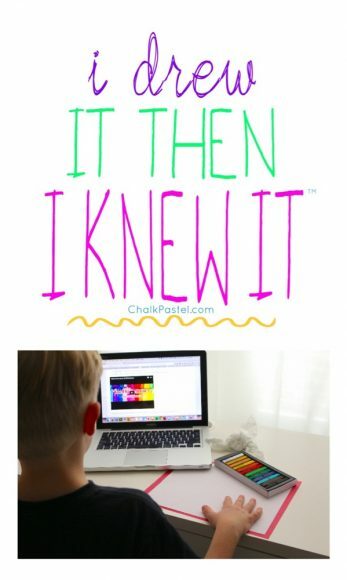 Among our favorites are digital homeschool resources. Why? Well, many reasons. Digital is more affordable. Digital passes down easily to siblings. It is easy to open, click and print. Digital resources do not take up much space! It is very quick to look up an assignment and recheck just what that history fact was. 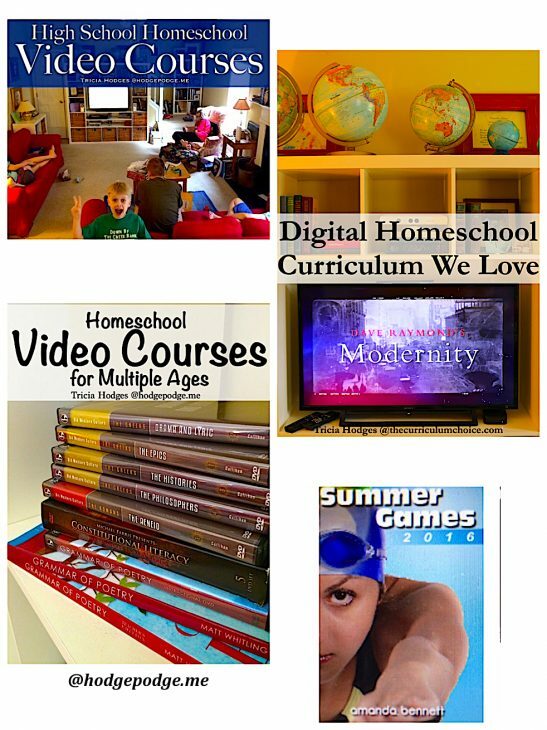 Digital homeschool resources are also often perfect for multiple ages. 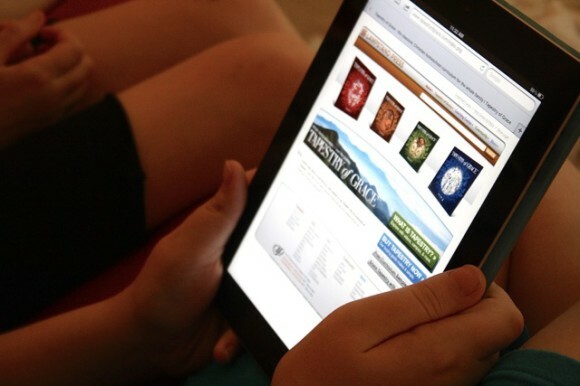 Especially in the high school years, digital is great for independent learners. I’m sharing with you our favorites. Amanda Bennett’s Digital Unit Studies – We are beginning our homeschool year yet again with a study of the Olympic Games. What fun to have an Olympic start to the new year! Then we will move on to her unit study of Elections. Because this is the year! 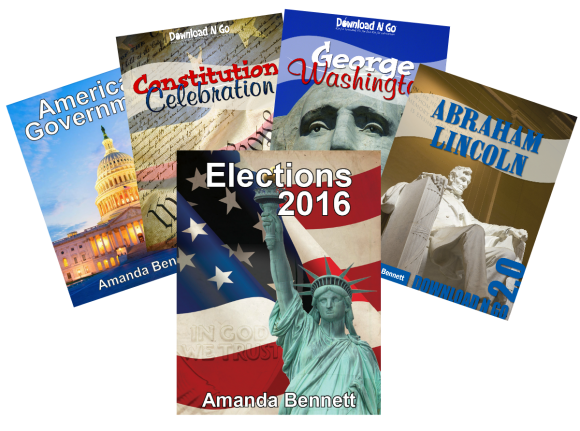 This week the Get Ready for the Elections Set is only $25 (retail value of $55.75) I highly recommend these! 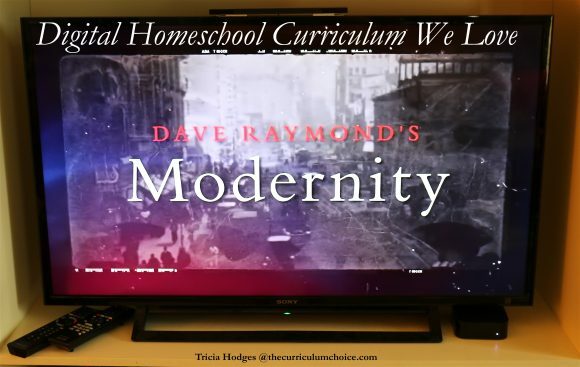 Digital Homeschool Curriculum We Love – Here I am again. It’s summer and we are enjoying learning history on a Saturday night! True statement. 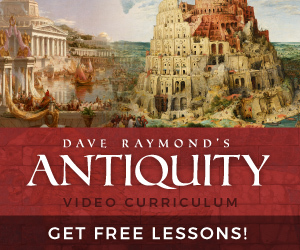 See, both Dave Raymond’s Modernity and Antiquity are now available. And since we enjoyed American History so very much (as an elective even! ), we find ourselves soaking up another volume of this fantastic curriculum. Yes we do. Tapestry of Grace – Updated – (we use the digital edition of Tapestry of Grace, mapping out our learning on the laptop or iPad). More than five years ago I shared with you that Tapestry of Grace was the homeschooling fit for our family. When we started with Tapestry of Grace, my eldest child was in fourth grade. She has now graduated from our homeschool. I now have the perspective of the years of rich education Tapestry has afforded us. 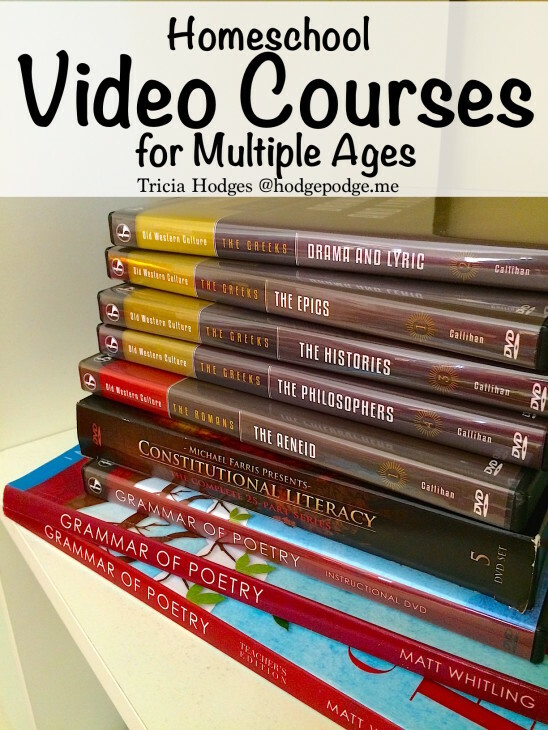 Homeschool Video Courses for Multiple Ages – I’ve shared before how our homeschooling method is a hodgepodge. 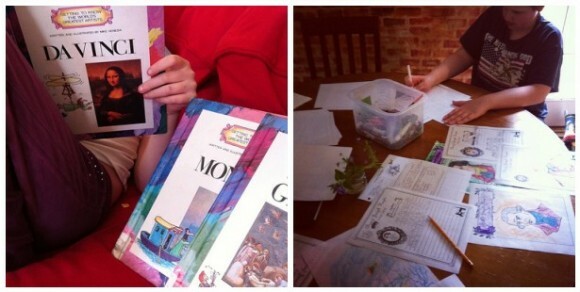 We have a true love of certain curricula (like Tapestry of Grace, Rod and Staff and Saxon) and have used them for all of our years of homeschooling. But that doesn’t mean we can’t add in some extras. 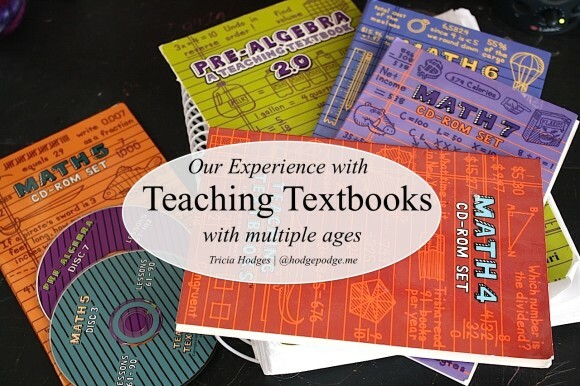 Especially in the high school years, we have invited master teachers into our homeschool. 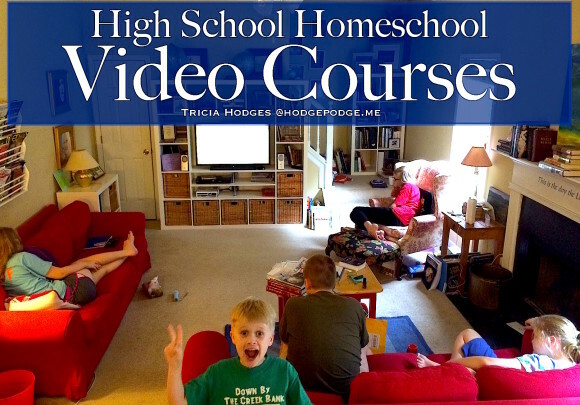 We’ve done that with homeschool video courses for multiple ages. Teaching Textbooks – My eldest children have now successfully taken the SAT and ACT. Our eldest was accepted to her first choice college. We have proof of Teaching Textbooks. Harmony Fine Arts – Are you like me? Do you long to enrich your homeschool with studies of composers and artists? Do you wish that someone would just do it all for you? You know, invest the time in research, find the online links, point you to the resources you need? All I really wanted to be able to do was open something up and teach. Have it all right there and not have to pull it all together myself. It’s done. Yes, really. It’s all done for you. Barb-Harmony Art Mom has created just what you need. Of course we have our very own digital art curriculum because You ARE an artist! I am considering purchasing the compass classroom American History DVD. I see that you said this was used as an elective for your highschoolers. Did they read the accompanying lessons or just watched the DVD and that is why it was only an elective for them? I am interested in using it as a full American History credit? Hi Stephanie – We did the reading and the DVD course but we counted it as an elective because it was another American History. We had already completed the American History full credit with Tapestry of Grace. It most definitely counts as a full history credit with the lectures, reading and projects. Highly recommend!